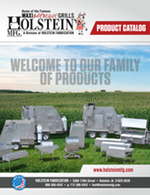 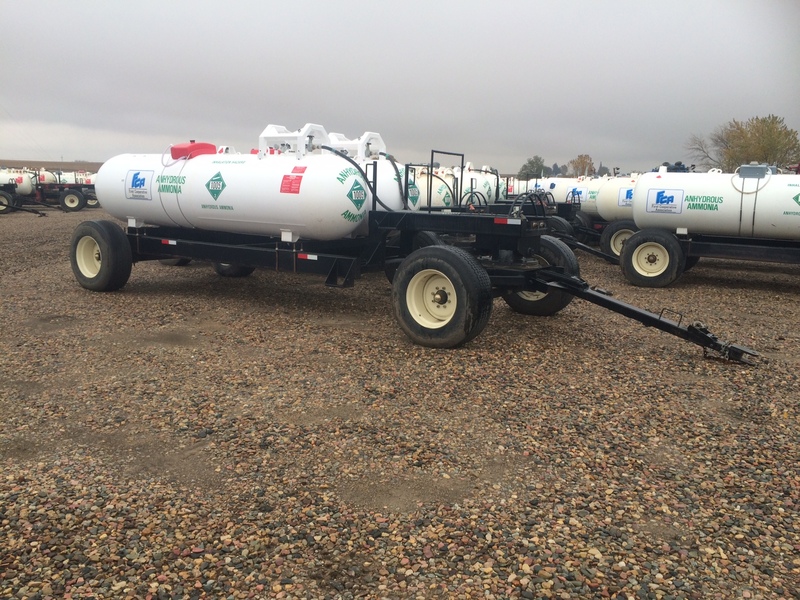 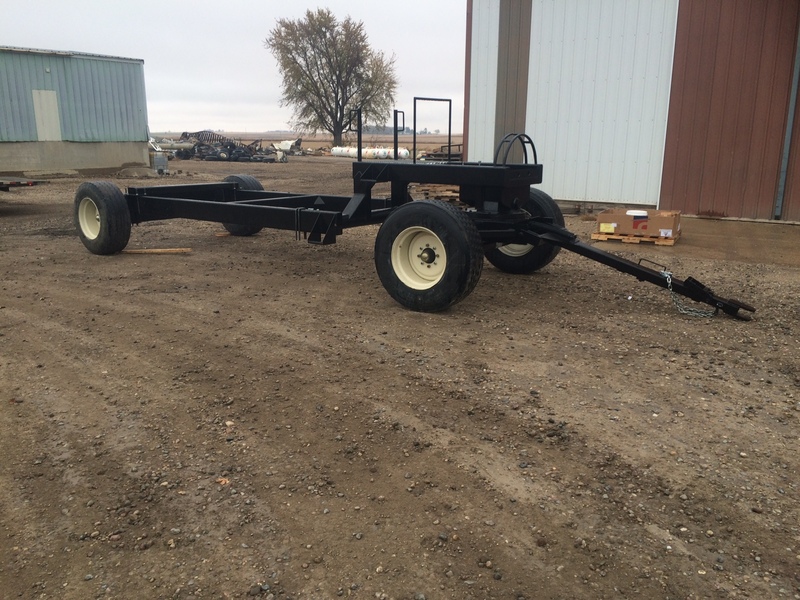 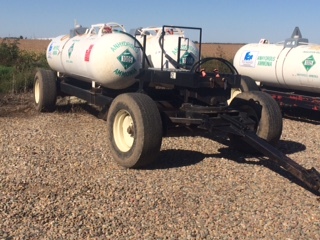 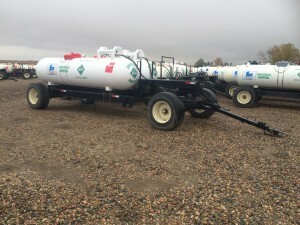 We have made over 70 dual 1000 gallon anhydrous trailers for a local coop. They haul NH3 to farmers for spring and fall application. The trailers are heavily built, with rectangle tube construction, a ball bearing turn table is used for the hitch linkage, rubber torsion axle on the front and 425 cement track tires are the mode for rolling down the highway.